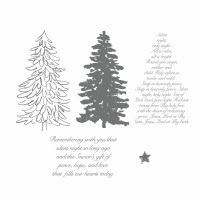 Stampin' in the Sun: Mailable Monday with "Evergreen"
This was a special card I made for two of my ladies who bought a Big Shot! I offer a free class where we make two projects using several different elements of the Big Shot. It's a great incentive I offer if you buy a Big Shot from me! 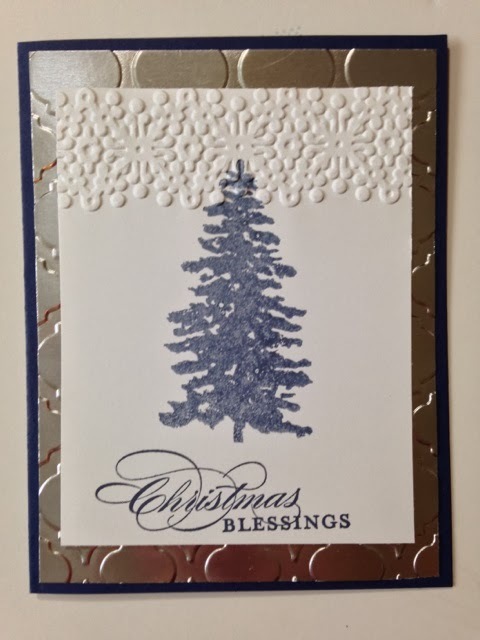 The colors I used for this card were Night of Navy (I stamped the tree image off first) and Whisper White. 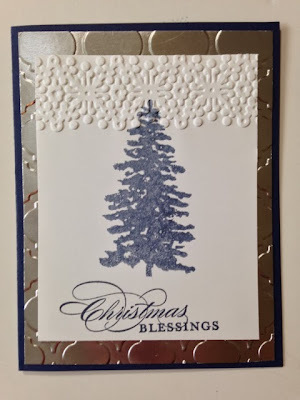 I used the Silver Foil Sheet to make the embossed layer! It embosses so nicely! Do you love the Evergreen set but haven't seen it in the catalog? That is because it's only available online! I prefer this set in wood mount because it is a two-step set! I will have another card using this stamp later this week so stay tuned! 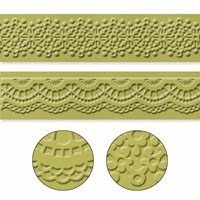 Make sure you go into my online store to purchase these embossing folders! See you tomorrow for the other card we made using the Big Shot!